Home › Blog Topics › Advocacy/Leadership › Let’s Get Out The Vote! The 2017 ALA election opened on March 13. Have you voted yet? I have been a member of ALA and AASL for a long time–so long, in fact, that I have memories (nightmares) regarding “The Ballot.” Once upon a time, the ALA ballot came in the mail and was really more of what I would call a packet. Perhaps my memory exaggerates, but it seems that that packet was at least 2 inches thick—filled with instructions and candidate bios and paper ballots to be marked and returned to ALA in oversized envelopes. No more! 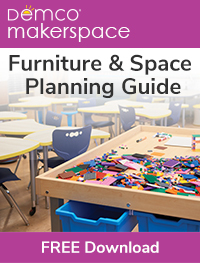 The voting process for ALA and AASL is now online and, believe me, much simpler! 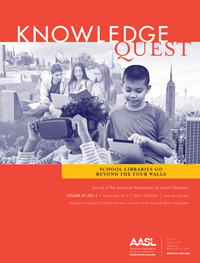 Basic steps are as follows (and detailed step-by-step instructions with screen shots are available in the “Step-by-Step Instructions for Voting in the 2017 AASL/ALA Election”). Using the link in the election email that you received from ALA, you will be taken to a “Welcome” site with voting instructions and an option to “Go to Ballot Menu.” Once you are at the “Ballot Menu,” you will see a list of ballots for elections in which you are eligible to vote: ALA, AASL, and any other divisions of which you are member, AASL sections of which you are a member, etc. You may complete all your ballots in one sitting; you may complete one or two and log in again to complete the rest; or you may even begin a ballot and save it to return to at a later time (prior to April 5, of course, when the election closes). On the ALA ballot this year you find proposed amendments to the ALA Constitution and Bylaws, three candidates for ALA President-elect, and a long list of candidates for ALA Council (from which you may vote for up to 34). Biographical information is linked for each candidate for office. 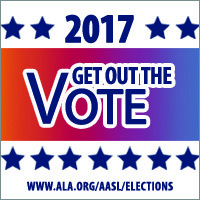 Additionally, for information purposes, a list of candidates for ALA office who are personal members of AASL can be located at http://www.ala.org/aasl/about/elections/ala. 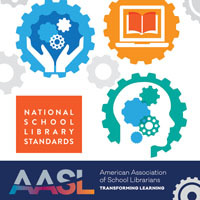 On our AASL ballot this year, you find one proposed amendment to the AASL Bylaws and a list of candidates for the following offices: President-Elect, Treasurer, Member-at-Large, and Directors for Regions 4, 6, and 8. Again, biographical information is linked for each candidate. 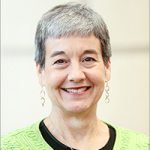 In 2016 only three AASL members were elected to ALA Council out of 10 AASL member candidates. If you’ve already voted, great (and I hope that you’ve downloaded an I Voted web badge or added a Twibbon to your social media accounts). If you’ve not voted yet, please vote. Let’s be sure that school library voices are heard!